One of the hallmarks of the CGP experience is involvement in professional projects at real institutions. Internships are an important way for students to provide exceptional service to the museum community while they evaluate possible career paths, develop a peer network, and gain firsthand experience with professional staff, diverse audiences, and cutting edge facilities. Students must complete an 8 to 12 week summer internship as part of their course of study at CGP. This internship takes place between the first and second year. Each student must complete a project during the time period of the internship that benefits the host institution and furthers their career goals. Internships generally focus on specific projects, but are flexible enough for students to involve themselves in other aspects of museum work. 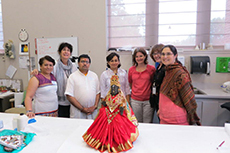 During their internships, students are treated as museum professionals and included in the regular ongoing activities of the institution. CGP maintains a portfolio of potential host institutions to aid students in selecting internships appropriate to their interests. We ask potential host institutions to provide CGP with internship outlines, supervising staff backgrounds, and funding information. Some institutions send brochures or annual reports to help potential interns become familiar with the organization. The host institution is responsible for providing the intern with a stipend that will cover living costs during the experience. Monthly stipends in recent years have ranged from $1,500 - $2,500 depending on cost of living in a certain area, hourly stipends are determined accordingly (with a normal minimum of $8.00 - $15.00 per hour). Many host institutions provide a modest travel allowance. The final financial arrangements are made directly between the host institution and the student. Each year CGP funds a small number of professional experiences through the Rural-Urban Partnership. Approved projects must be conducted in an urban museum and dedicated to public engagement and service. Past projects have included an exhibition at the Newark Museum in new Jersey, a development and outreach project with the Historic House Trust in New York City, and a website on African American history for Historic New England in Boston. Some host institutions provide free or inexpensive housing to interns. If such arrangements cannot be made, host institutions are asked to assist the student in securing housing. Students must be supervised by a member of the museum's professional staff. At the end of the internship, supervisors are asked to submit a summary evaluation of the student's performance. Students are required to prepare both a written report and an oral presentation summarizing their experiences. CGP staff will assign the student a grade based on the evaluation and presentation. After their first semester of study, students can arrange to intern with local institutions for semester credit. Unlike a summer internship, semester internships are almost always unpaid. Students in the past have interned in a variety of departments, including development and marketing, membership, education, curatorial, collections, and research. Internships can be done for one to three credits, or 3-9 hours a week. where have students held past internships? 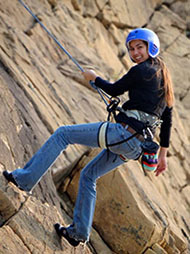 Naomi Szpot ('13) rock climbing during her summer internship in Seldovia, Alaska. 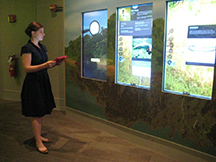 Cate Bayles ('13) tests timing and tracking technology at the Field Museum in Chicago, Illinois. 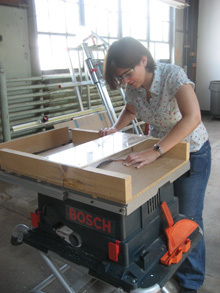 Emilie Arnold ('11) constructs an exhibit mount at the National Museum of the Marine Corps. 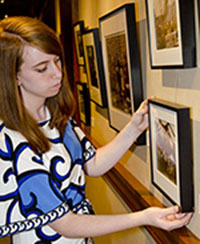 Emily Lang ('13) hangs photographs during her internship at the Museum at Bethel Woods. Jenna Robinson ('13) assists in the dressing of a ceremonial statue during her internship at the Newark Museum. 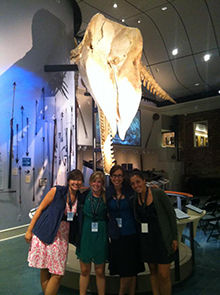 Abbie Wilson ('13) had the chance to work with graduate students from all over the country during her summer internship at the Nantucket Historical Association. 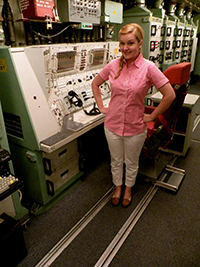 Haley Gard ('13) recorded oral histories of former missileers at the Ronald Regan Minuteman Missile Site during her summer internship. 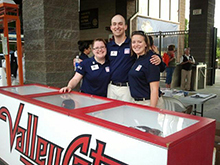 Jessica Mayercin ('13) travelled all around New York state during her collections internship at the National Baseball Hall of Fame and Museum.